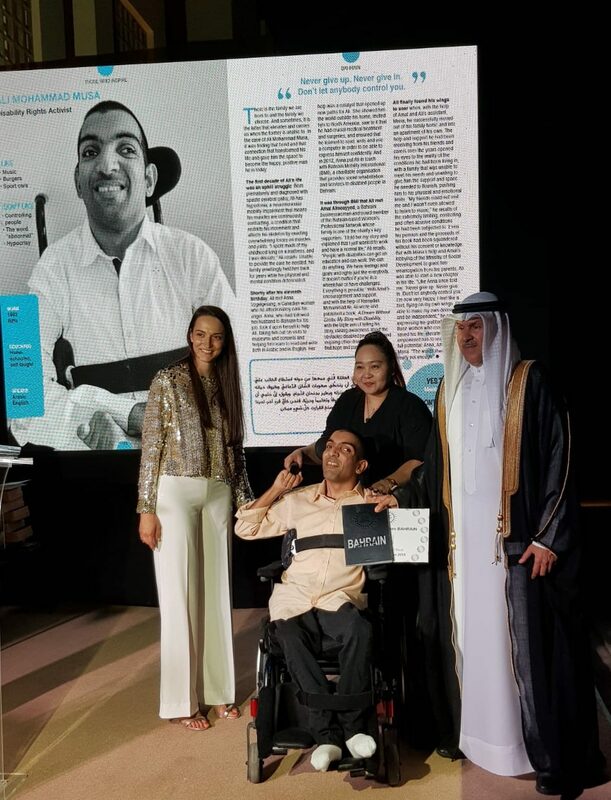 Ali Mohammed Musa’s life is a story of survival and transformation from a life of a wheelchair-bound, unwanted and ridiculed life to a life of happiness and positivity. The young Bahraini was born premature and soon diagnosed with spastic cerebral palsy, with hypertonia a neuromuscular mobility impairment that restricted him to the mattress all through the childhood. Though he had enrolled at a private school in 2004, he had to leave school after Grade 4 when his classes were moved to the building’s upper levels with no wheelchair access. His mother’s appeals went in vain. Ali had hopelessly and helplessly submitted to his fate until he met with Anna Vogelgesang, a Canadian woman. Anna took upon to care for Ali. She introduced him to the outside world, taught him to read and write, enabled him to confidently express himself, saw to it that he received crucial medical treatment and surgeries and finally introduced him to the Bahrain Mobility International (BMI). Ali met with Amal Almoayyed, an influential Bahraini businesswoman through BMI. Ms. Almoayyed encouraged Ali to write and publish his life story A Dream without Limits: My Story with Disability. Ali completed this venture with the unconditional support of Amal and Ramadan Mohammad Ali. 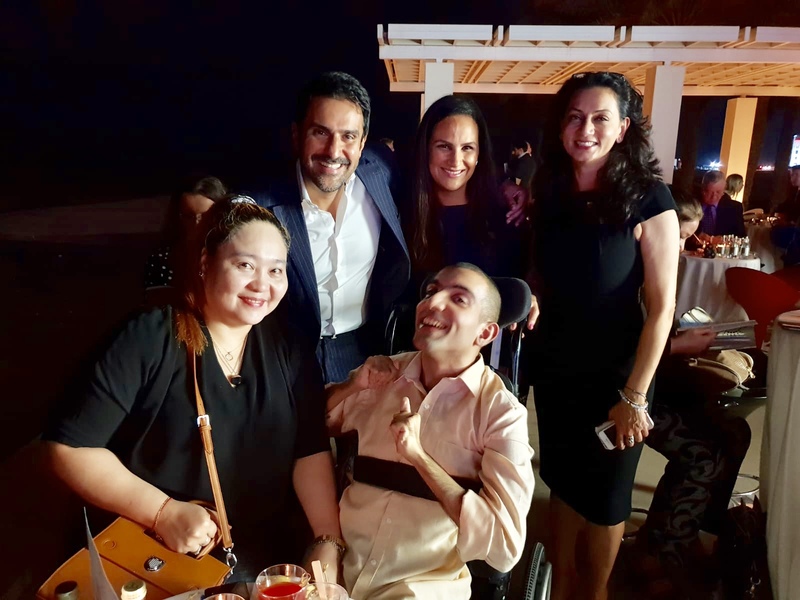 The book was launched at the Women’s Professional Network’s (WPN) second art charity event entitled Art Beat, alongside the work of artists from the Bahrain Mobility International Centre (BMI) and the Bahrain Down Syndrome Society. 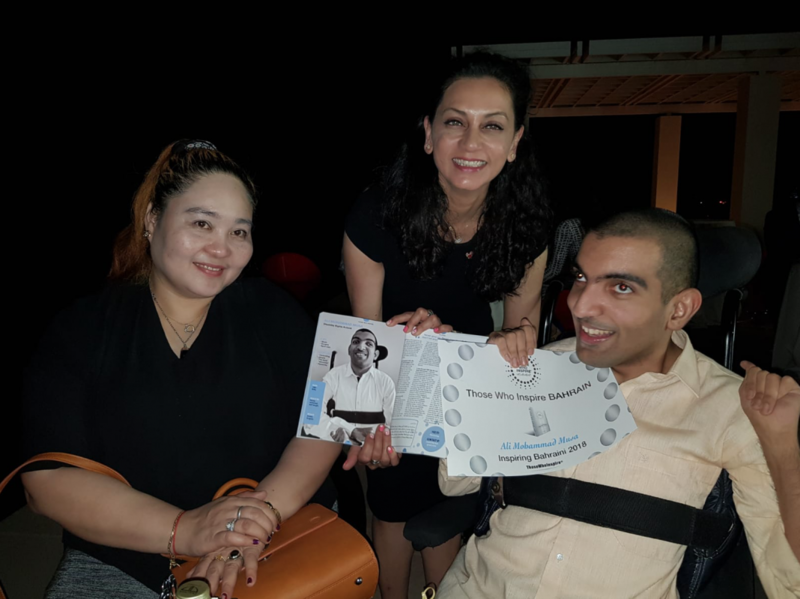 Amal Almoayed is actively involved in the differently abled community in Bahrain and continues to nurture and support Ali’s progress. .
Ali explained: “I want my story to raise awareness about the disabled and to help people understand that we can have an education, a job and run a business. We can depend on ourselves and, if given a chance, not always have to rely on our families. True to his determination, will power and the immense support that he had received, he was included in Those Who Inspire Bahrain.